Talks intended to solve Canberra’s buried asbestos crisis have come to a standstill after the territory government accused the Commonwealth of double standards. Both sides are now deadlocked on determining who will shell out hundreds of millions of dollars to clean up over 100 sites around the capital where deposits of the fatal building material might have been buried for decades. Chief Minister Katy Gallagher says the federal government has funded elaborate asbestos removal operations on various contaminated sites but is negating responsibility for others. Gallagher is appealing to Prime Minister Julia Gillard to get involved. 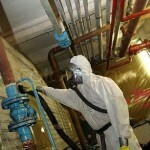 Regional Affairs and Local Government department stated that they are developing a national solution to buried asbestos. Ms Gallagher said the talks between the two parties, convened last year after she threatened to sue the Commonwealth, had broken down but that the territory would not stop pursing an agreement with the federal government. ”I consider the Commonwealth has a moral and financial obligation to the citizens of the ACT to assist in remediation of sites contaminated prior to self-government,” Ms Gallagher said. There are said to be approximately 114 former landfill sites that are contaminated, leading to problems for the sites construction. A spokesman for the Department of Regional Australia and Local Government said that a national plan was being developed for the management of buried asbestos. ”The Commonwealth remains committed to finding ways to address asbestos management issues nationally,” the spokesman said. ”We established the Office of Asbestos Safety in September 2012 to respond to the broad-ranging Asbestos Management Review and to develop a national strategic plan by 1 July 2013.